1 basket. You will need three to cover one meter. They are made of galvanised steel. Height 29.5 cm, width 43 cm, depth 38.5 cm. Weight 1.3 kg. 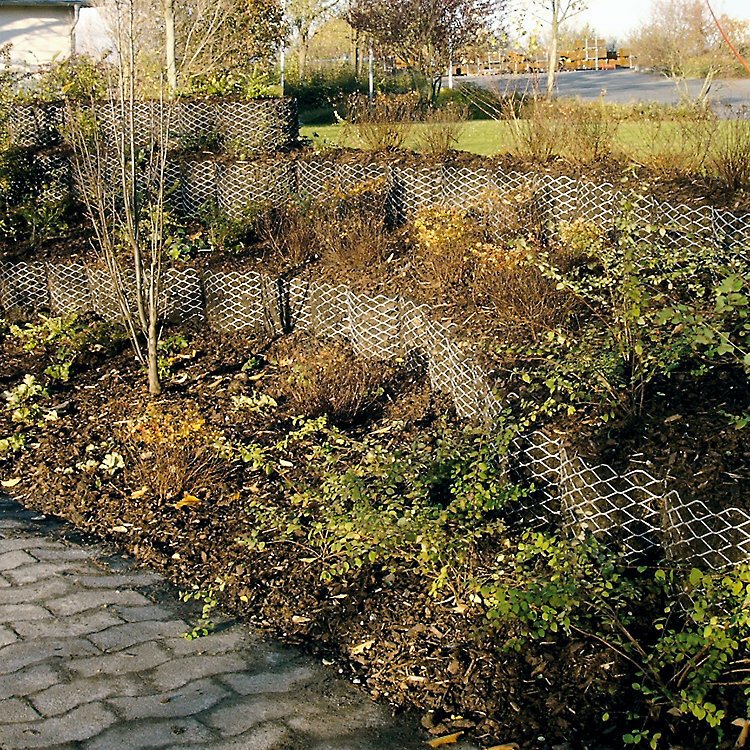 A Sustainable Planting Basket for Terrace Reinforcement. The metal grating of the planting basket doesn't just let in rain worms and other useful soil-dwelling organisms. It's also permeable for fertiliser and water for the unhindered growth on all sides of plants and their roots. But there's another advantage: Even in intense sunshine, the roots will not overheat in the wire baskets. You will need three adjacent wire baskets per metre. 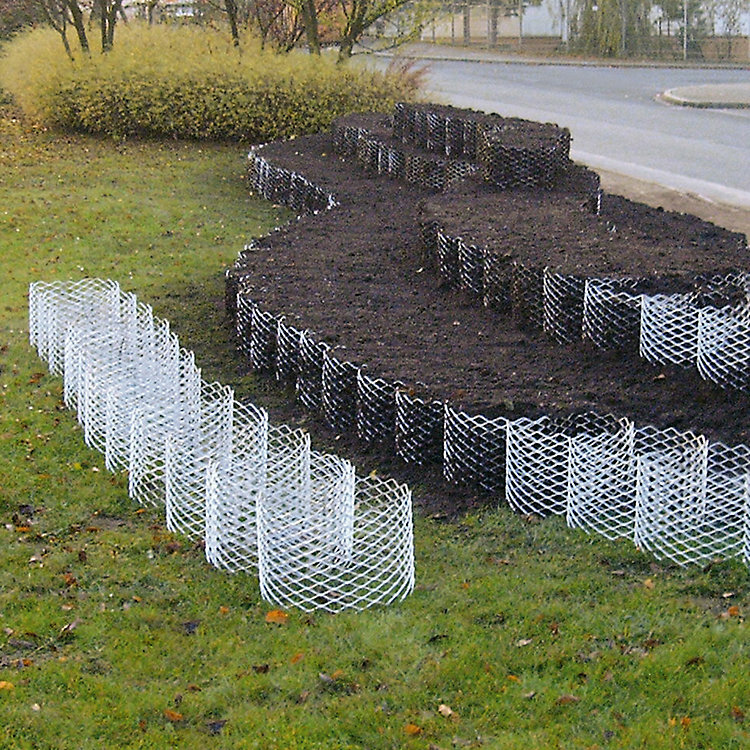 A slope reinforcement that doesn't deface the environment. They're unfortunately ubiquitous: so-called embankment blocks made of concrete, anything but beautiful and, sadly, indestructible. On top of that, they're frequently only sparsely covered with green. 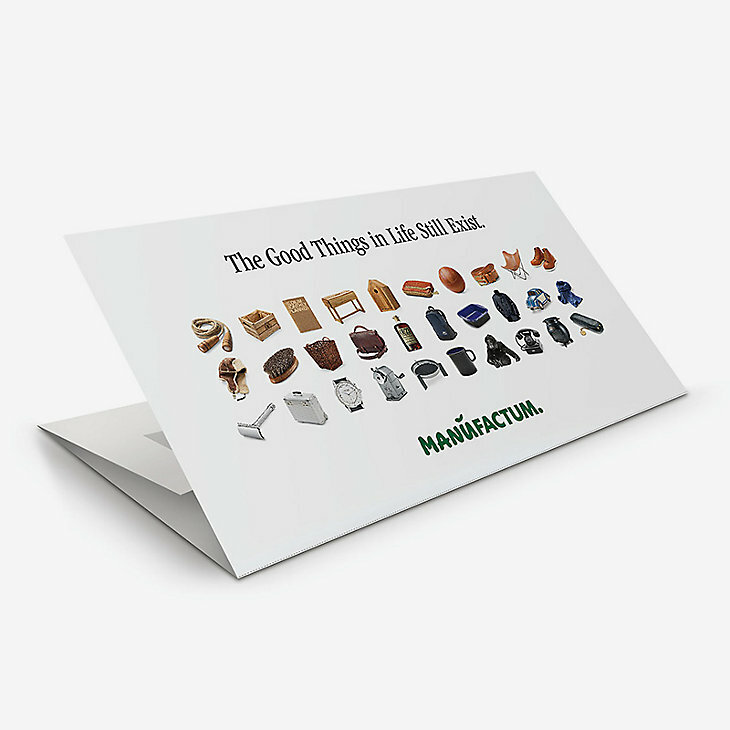 Our plant baskets made of expanded metal are practically invisible and filled just as stable as the blocks. They find many uses in the garden, including slope stabilisation and reinforcement, building stairs and steps and terrain transitions or shoring up terraces.